First let me say that I only wish the very best for Factory OS, the Vallejo, CA modular home factory located in the former Blu Homes plant in Mare Island. However, having just read a Fox News story about what they plan to do had me scratching my head wondering if the people of Factory OS believe they are the next best thing in modular. Here are some excerpts from the article that are similar to what other factories have made in years past only to either miss the mark by a wide margin or cease to exist. Union Labor actually means higher cost labor than almost every other modular home factory in the US. Not sure how that could contribute to lower costs. What new technologies are we talking about. Layout tables for building wall panels, premade trusses, CNC cutters? All these have been available in other modular home factories for decades. Unless Factory OS is building cookie cutter homes, automation is usually not compatible with modular home production. 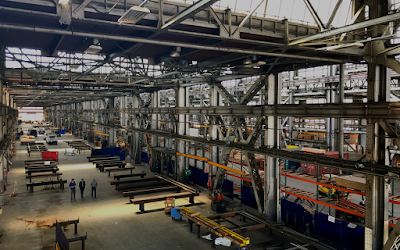 "For this type of construction, off site construction, we're the largest plant in North America," said Larry Pace, Factory OS Co-founder. I guess they're right if you only count their single 250,000 sq ft factory. Many modular and manufactured companies have huge amounts of production capacity when every factory a single company may own is added together. 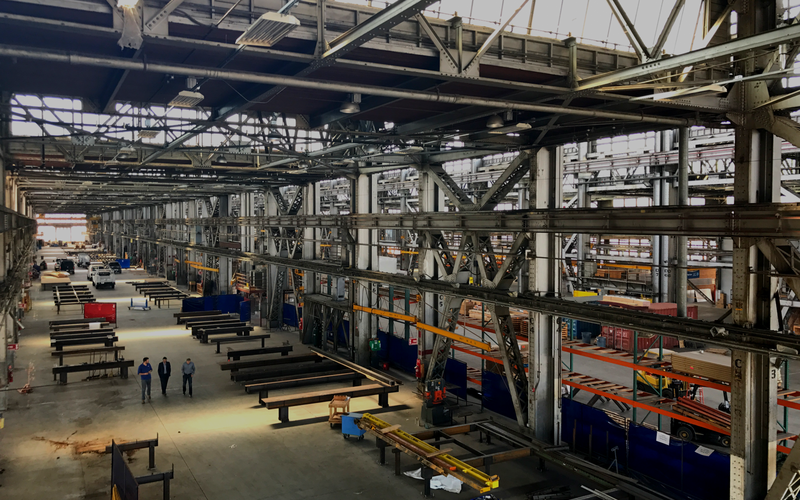 From Mare Island, the units can be trucked, railed or barged to their final locations where the total time and expense of building multi-unit apartment and condo projects will be slashed. "Seven to eight months total. And, it would have taken 16 to 20 months to do it site built. We'll do it for at least 30 percent less than than what it would have cost site built, said Factory OS Co-founder Rick Holliday. And, once Factory OS ramps up? "We figure well be in half the time and half the cost." said Mr. Holliday. Building faster and building cheaper are no longer synonymous with modular housing. First, the time through the production phase of modular housing is increasing because of added regulations and building codes with some factories in the US having wait times of 60 days just to get a module to the production line. Cheaper? That was modular’s best selling tool a decade ago but not today. The biggest savings that modular can provide today is speed of completion once the modules actually arrive on the jobsite. That is one of our biggest appeals to investors. As I mentioned in the beginning, I wish them only the best and hope they prove these initial observations wrong. Factory_OS at Mare Island from Cut Canvas Creative on Vimeo. Sounds like you found a another Blu Homes to follow. I especially like the part where they cut the time and the cost in half when they finally ramp up. Just how expensive are these homes right now if they say they can cut 50% off the cost. Keep following them as I am interested to learn how they will do it. Interesting angle with the unions which is creating some waves. The Carpenters union made a deal with Factory OS and at least one other modular factory in CA for what they call a "wall to wall" deal. Carpenters union represents the workers in the factory regardless of what "trade" the worker is doing. Its actually a pretty bold move by the carpenters, one that put them in front of the other unions who have decided to simply base modular from outside. Will it all work? Time will tell, but I too wish them luck. We need many more factories to meet all the housing demand, especially in Northern CA.